Roswell Cast: Where Are They Now? The CW’s newest show this mid-winter is a reboot of the popular series Roswell which ran from 2000-2002. Anytime the song “Here With Me” by Dido comes on the radio, memories of that show come rushing back! We’re so excited to see the new casts’ storytelling in the reboot, but we can’t help but wonder, where are the original Roswell cast members now?? After Roswell, Shiri went on to star in several TV/film roles including Swimfan (2002), ER (2008-2009), Life Unexpected (2010-2011), and Girls (2013-2014). Most recently she has starred in UnREAL, a fictionalized Lifetime show that goes behind the scenes of a reality show similar to The Bachelor. She is set to direct an episode of the reboot, Roswell, New Mexico! Appleby married husband Jon Shook in 2013 and has two children. Jason Behr was already 26 when he starred as Max Evans on Roswell in 1999, probably one of the oldest onscreen teenagers ever, but he pulled it off! Since then, Behr has starred in various films and TV movies including The Grudge, The Way, and Happily Even After. His last on-screen acting credit was in 2012 with the TV show, Breakout Kings. He met his actress wife, KaDee Strickland while filming The Grudge in 2004 and they now have three children. Most people know that Katherine Heigl went on to star as Dr. Izzie Stevens on Grey’s Anatomy after playing Isabel Evans (oddly similar character names) on Roswell. Her performance on Grey’s Anatomy even landed her several People’s Choice Awards, an Emmy award, a Screen Actors Guild Award and two Golden Globes nominations. From there she became a bit of a romantic comedy queen, starring in 27 Dresses, Knocked Up, The Ugly Truth, Killers, Life as We Know It, New Year’s Eve, and The Big Wedding. She returned to TV in 2014 as the leading role in State of Affairs and again in 2017 with Doubt, both which were not signed on for a second season. Most recently she joined the cast of Suits, the USA drama. Heigl is very active in charity work and she and her husband, Josh Kelley, have three children. In Roswell, Majandra Delfino played the quick-witted best friend. After the show, she starred on State of Georgia, a ABC Family comedy starring Raven-Symoné and then co-starred with James Van Der Beek on the CBS drama, Friends with Better Lives. She too is now a married woman to About a Boy actor David Walton and together they have two children. We all know Brendan Fehr as the broody, tough guy with a soft side on Roswell. After the show he landed recurring roles on both CSI: Miami and Bones. Most recently, he had a small part on Guardians of the Galaxy and lead part in the TV series, The Night Shift. Since then he has starred in a couple TV Christmas movies and Brotherhood. He married wife Jennifer Rowley in 2006 and they have three children. Beyond playing the mind-warped teenager in Roswell, you may recognize Colin Hanks from his current show, Life in Pieces or the critically acclaimed TV series, Fargo, in which he received both a Golden Globe and Emmy nomination for his outstanding performance. Hanks’ film and TV credits are extensive since Roswell wrapped including Orange County, King Kong, Dexter, Mad Men, The House Bunny, Jumanji: Welcome to the Jungle and Drunk History. He and his wife, Samantha Bryant, have two children and live in Los Angeles. Nick Wechsler went from suspicious jock to full on member of the Roswell alien crew within three seasons of Roswell. At show completion, he guest starred on several shows from 2003-2010, not landing a starring role until 2011 in Revenge where he played lovable best friend, Jack Porter. You may also recognize him from The CW’s own Dynasty where he played, Matthew Blaisdel. He most recently starred alongside J. Lo in the TV series Shades of Blue. It was a great day when Sheriff Valenti went from hunting the aliens to protecting them. Since the show wrapped, Sadler starred in Wonderfalls and landed recurring roles on Damages and Hawaii Five-O. He even appeared on three episodes of Showtimes’ critically-acclaimed series, Homeland. Those are just a few of his guest appearances on his impressive roster. He is still married to wife Marni Joan Bakst of 40 years! While we all hated Tess for breaking up Max and Liz and killing Alex on Roswell, she’s made up for it by starring as a freaking princess in Once Upon a Time as none other than Belle. Since Roswell, Emilie is probably most known for playing Claire Littleton in Lost as well as Ally Craig in Remember Me with Robert Pattinson. While Adam didn’t appear on Roswell until the 3rd and final season, he was a notable character as the love interest of Isabel. 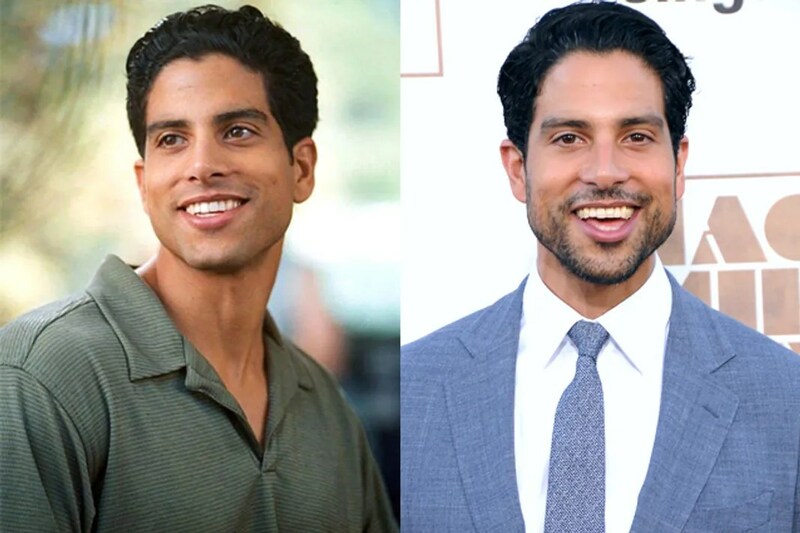 Following Roswell, Rodriguez starred in over 220 episodes of CSI: MIami as Eric Delko. He’s also been in Magic Mike, Magic Mike XXL, Reckless, and funnily The Night Shift alongside Roswell costar Brendan Fehr. Today you can watch Rodriguez on Criminal Minds. He’s married to wife Grace Gail and they have two children.